CDR BeerLab® will be at Craft Brewers Conference (CBC) in Nashville. For professional brewers, CBC is the number one environment in North America for concentrated, affordable brewing education and idea sharing to improve brewery quality and performance. The conference is also a great social event with thousands of brewing industry professionals enjoying craft brews together. BrewExpo America® allows exhibitors and buyers to develop profitable business relationships. There will be many news at our booth. We will show New CDR Beerlab® Junior and New tests as Vicinal Diketons (VDKs), Yeast Vitality available on CDR BeerLab® system. 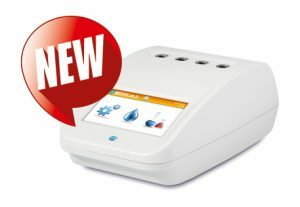 Unlike the previous version, CDR BeerLab® Junior enables the measurement of Bitterness (IBU), Vicinal Diketones (VDKs), Yeast Vitality and water analysis too. We will exhibit you how is simple and fast to perform beer analyses using CDR BeerLab®. CDR BeerLab® is specifically devised to respond to the needs of master brewers and to breweries of all size from small to large enterprises. The analysis system allows you to perform a wide range of tests on beer, wort and water with a single device, faster and with ease compared to the traditional methods, all while being totally in-house without having to rely on external laboratories. Come to visit us to learn more about CDR BeerLab® at booth number 2856. CDR BeerLab, at Craft Brewers conference in Nashville. 30 April- May 3 was last modified: April 18th, 2018 by CDR s.r.l.